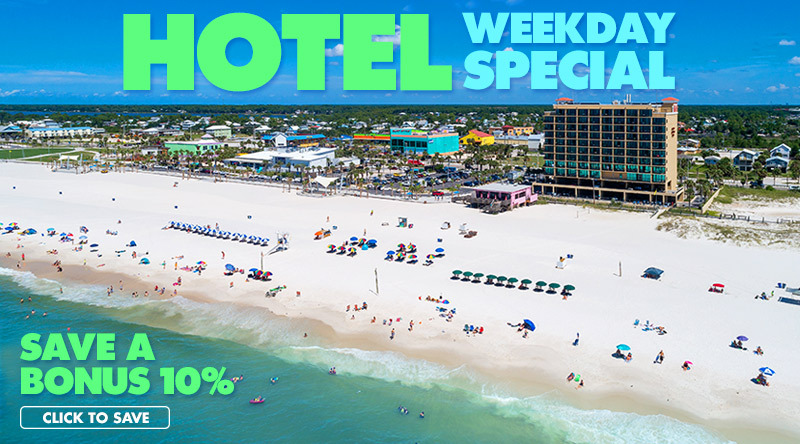 If you're looking for a beachfront hotel in Gulf Shores, AL then you've found it! Phoenix All Suites Hotels offer the luxury of a condo with the amenities of a hotel. Our two hotels offer friendly service, condo-style amenities, convenient locations with direct beach access and of course unforgettable memories. We know you'll love staying with us for your vacation! Our two hotels are strategically located to give you easy access to all that Gulf Shores has to offer. Take a walk from your room to the beach or maybe visit downtown Gulf Shores to experience the nightlife. There's a lot to experience while visiting Gulf Shores, make sure you choose a location that is close to where you want to be! Learn more about our hotel amenities and offerings and choose the Phoenix All Suites location that would be best for you! If you have any questions, get the answers by giving us a call at 1-800-211-7892. We can assure you that our experts will help you find the best hotel for your stay. Ready for your vacation? Book your hotel room today!